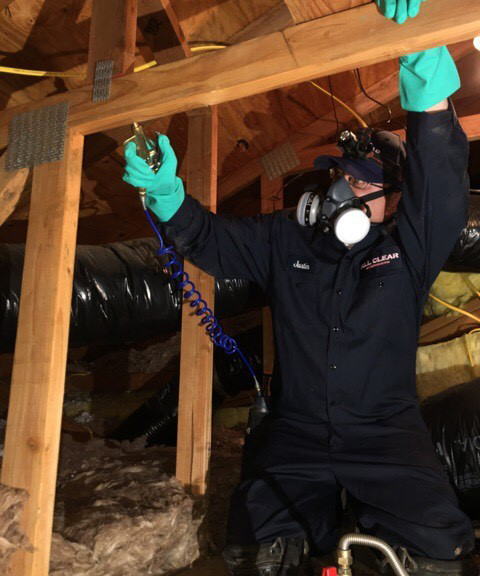 A Prevention treatment is applied to all exposed framing, which normally is found in garages and attics of homes to prevent against termite infestations. Compass Treatment is 1 of 3 treatments we included in our Clear Shield Treatment, our all-inclusive treatment offering. It is an effective subterranean termites treatment that eliminates subterranean termites colonies. We use Clear Foam Treatment to ensure we get your termite problem under control. It’s often hard to apply the treatment in the correct spot as we’re not always able to see exactly where the termites are. This is where our Clear Foam Treatment can help. 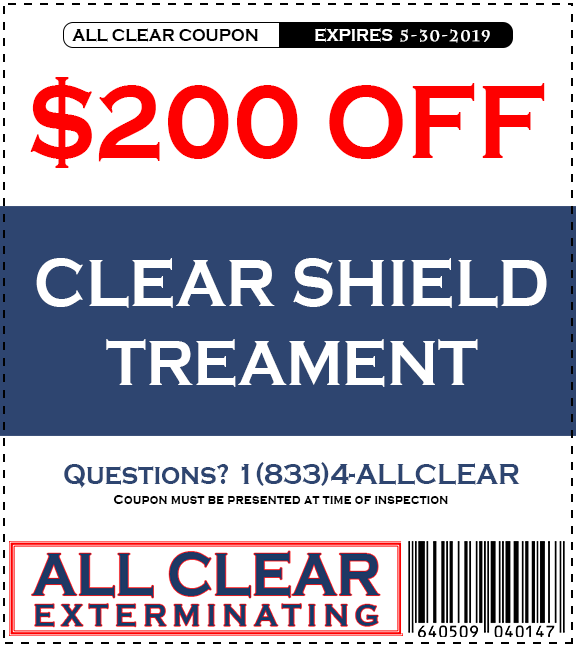 All Clear Exterminating’s Clear Shield Treatment is an all-inclusive treatment that includes the Clear Foam Treatment, Compass treatment and Preventative Treatment. 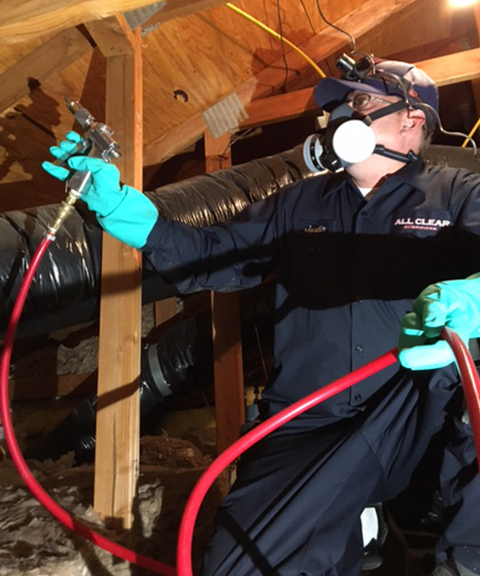 This treatment is the #1 choice in protecting your home from damaging drywood and subterranean termites. The Clear Shield includes a 2-year warranty. Get Started with our best offer, click here! All Clear Exterminating offers wood repair from some of the finest carpenters in the industry with over 15 years’ experience. 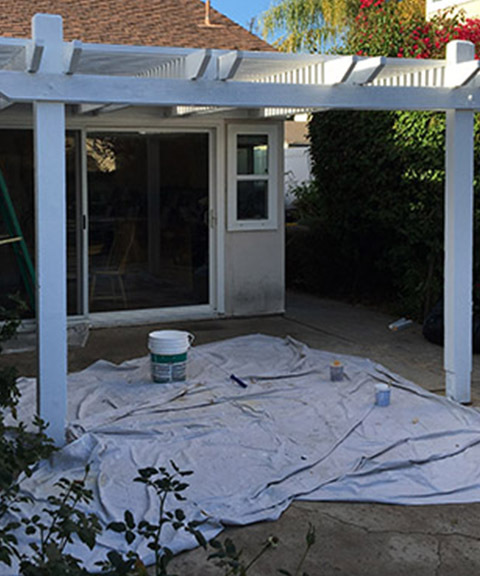 From complete patio and deck rebuilds to your more common termite and dry rot eve damage, All Clear does it all. Every wood repair job comes with a 1 year 100% satisfaction guarantee. We are proud to offer you the best prices around. We know that hiring an exterminator is not always cheap but we are happy to offer you a very competitive rate that you’ll be happy with. If you’re looking for a high-quality exterminator at a reasonable price, contact us today. 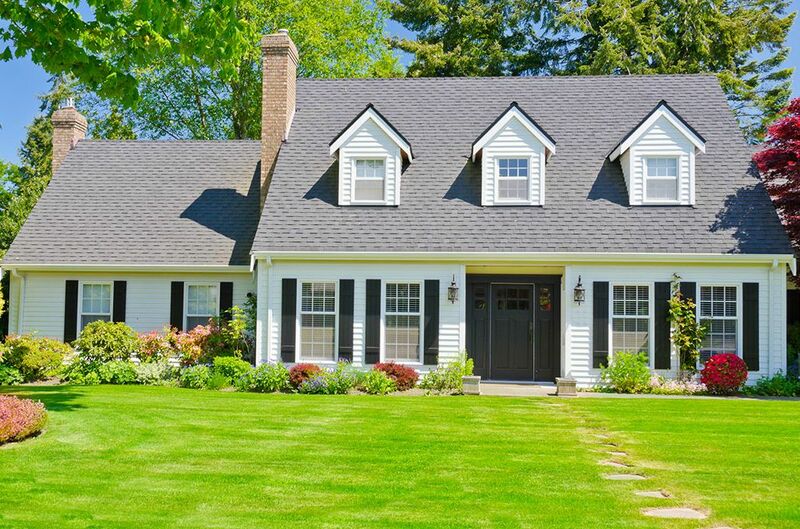 There are many pests and rodents that are common to the Southern California area. 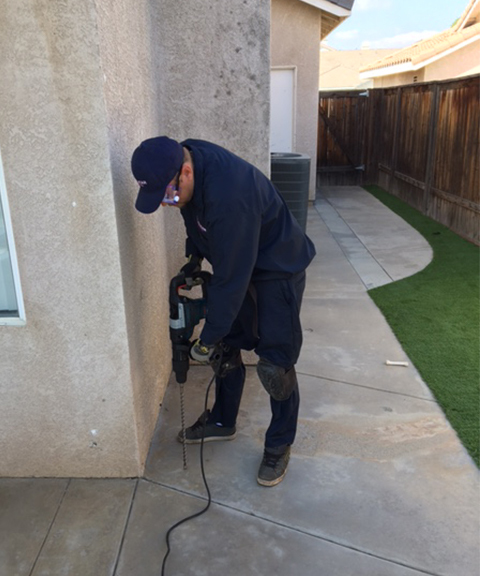 Our inspectors are all highly-trained and they know exactly what it takes to deal with your termite problem. We have a lot of experience and we are proud of what we do. This is why we ensure we only ever send out a highly capable inspector who knows how and where to look for termites. 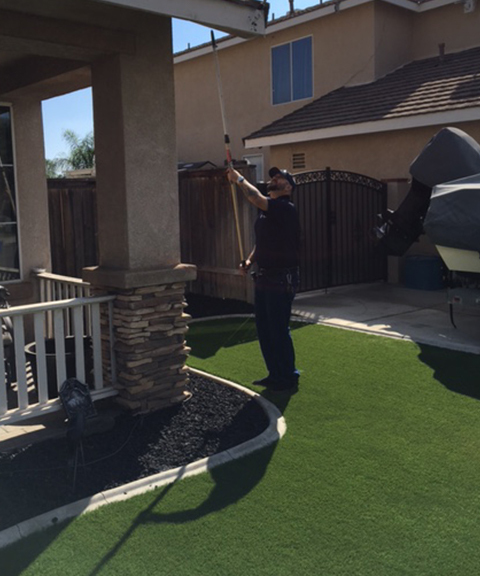 Friendly, trustworthy, and professional each of our technicians work hard so your home is termite-free once more. 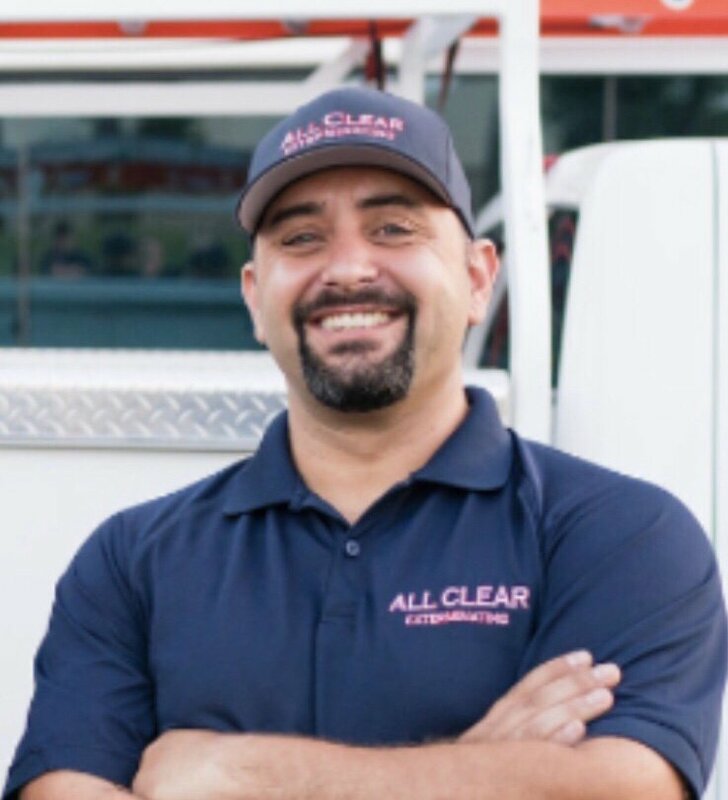 Here at All Clear Exterminating, we are proud to offer you a high-quality service that you will not find anywhere else. We offer you affordable services that will not let you down. We like to think we know a thing or two about dealing with pesky termites which is why we think you’ll love what we do. If you’re looking for a team of friendly but professional exterminators we can help. We’re here for you whenever and wherever you need us.